Kick-off Georgia-Florida weekend with former University of Georgia football coach and athletic director Vince Dooley at a special St. Simons Island book-signing event! 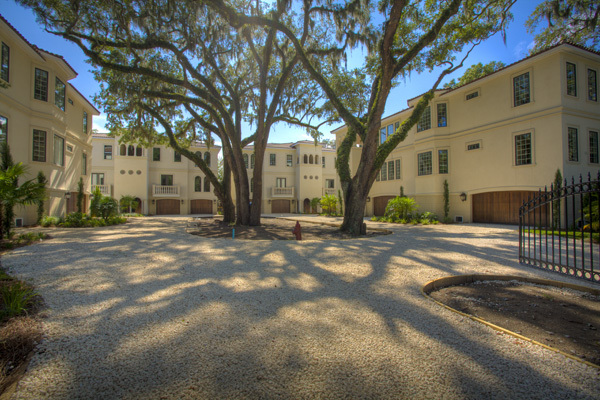 The entire community is invited to join Hodnett Cooper Real Estate and Vacation Rentals for this free public appearance on Thursday, October 30 from 5:30 – 7:30 p.m. at the Village Villas located across from the Queen’s Court Motel and behind the 4th of May restaurant in the St. Simons Village area. “St. Simons is one of my favorite places in Georgia. I look forward to visiting with all the great fans who will be there for the game. 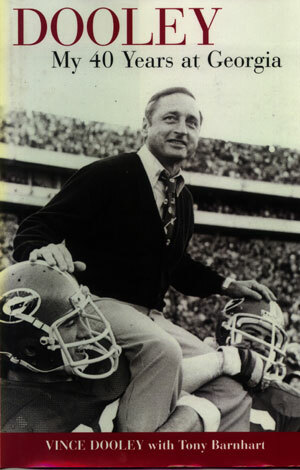 And, we all know there is a special atmosphere for the Georgia-Florida weekend!” said Coach Dooley. Coach Dooley will be presenting and autographing his best selling book, Dooley – My Forty Years at Georgia and a new children’s book, Hairy Dawg’s Journey through the Peach State, along with signed artists’ prints, game day caps, collector Coca-Colas, and a not-yet-released biographical DVD. 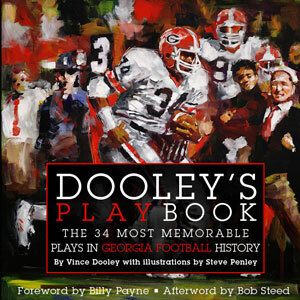 “We will introduce a new book, Dooley’s Play Book, which highlights 34 of his most memorable plays in Georgia football history,” said Dooley’s publicist, Sammy Smith. “Hodnett Cooper is excited to have a Georgia legend with us for this busy weekend. Everyone in the community and our many rental guests are looking forward to meeting the Coach at this great event,” said Roy K. Hodnett. Fans are asked to bring cash or checks only for autographed books or memorabilia. Parking is limited to public spaces in and around the Village area. For more information about the event, please contact Mary Bryan Fields of Hodnett Cooper Real Estate at 888-HODNETT.